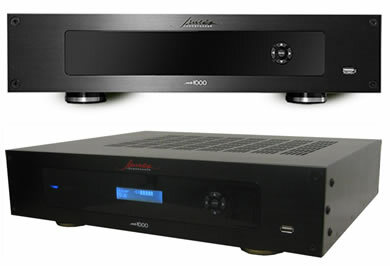 We are pleased to offer the stunning range of discrete In-Wall speakers and subwoofers from James Loudspeaker. 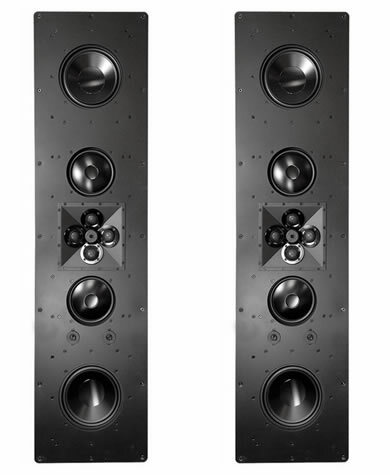 The new 812BE in-wall reference loudspeaker features high output driver components, set into a solid aluminum baffle, coupled with James' all new quad tweeter array, incorporating four 1" (25mm) beryllium dome tweeters in a 22.5° offset array for wide dispersion, high power handling and low distortion promises to deliver audiophile-quality where it counts. Combined with four high output 8" (203mm) aluminum cone woofers, (4) 6.5" (165mm) neodymium mid-drivers, the 812BE has an impressive 102dB sensitivity with bass down to below 40Hz. A multi-element network blends the highs and lows into a smooth and ultra-wide response. The sealed cabinet design features all aircraft aluminum construction for strength, sonic performance and suitability for outdoor/marine applications. Designed for easy installation into 2x4 stud walls, 16" on center. 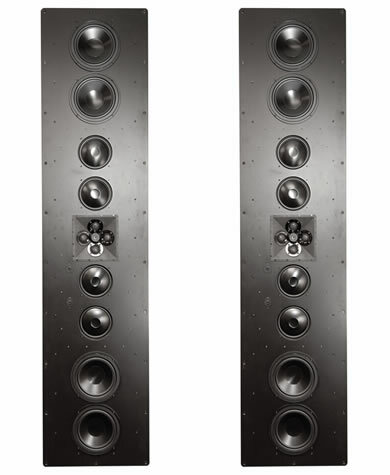 The new 808BE in-wall reference loudspeaker features high output driver components, set into a solid aluminum baffle, coupled with James' all new quad tweeter array, incorporating four 1" (25mm) beryllium dome tweeters in a 22.5° offset array for wide dispersion, high power handling and low distortion promises to deliver audiophile-quality where it counts. Combined with two high output 8" (203mm) aluminum cone woofers, two 6.5" (165mm) neodymium mid-drivers, the 808BE has an impressive 95dB sensitivity with bass down to below 45Hz. A multi-element network blends the highs and lows into a smooth and ultra-wide response. 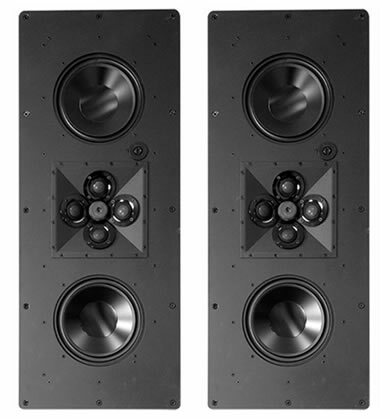 The new 806BE in-wall reference loudspeaker features high output driver components, set into a solid aluminum baffle, coupled with James' all new quad tweeter array, incorporating four 1" (25mm) beryllium dome tweeters in a 22.5° offset array for wide dispersion, high power handling and low distortion promises to deliver audiophile-quality where it counts. Combined with two high output 8" (203mm) aluminum cone woofers the 806BE has an impressive 92dB sensitivity with bass down to 45Hz. 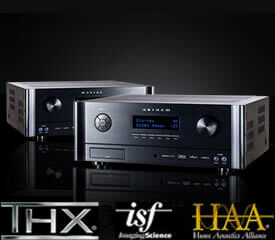 A multi-element network blends the highs and lows into a smooth and ultra-wide response. 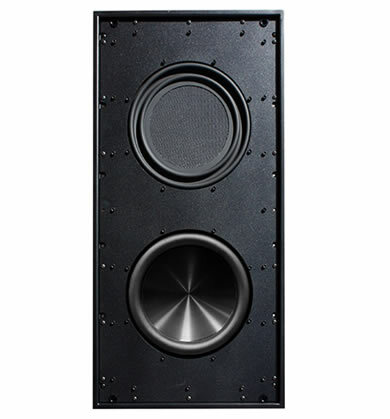 (2) 10" (203mm) Aluminum Honeycomb Woofers The new QX1020 shallow depth in-wall subwoofer features a sleek modern appearance with a borderless aluminum grille that protrudes less than 3/16” (5mm) from the wall. James all new honeycomb woofer. 1 set 5-way binding posts for speaker output connection. Memories: 3 configuration memories for settings.